The walls of our private dining room are adorned with bevelled antique mirror panels, with bespoke art deco chairs and a polished parquet floor adding a further touch of glamour to this already striking private space. 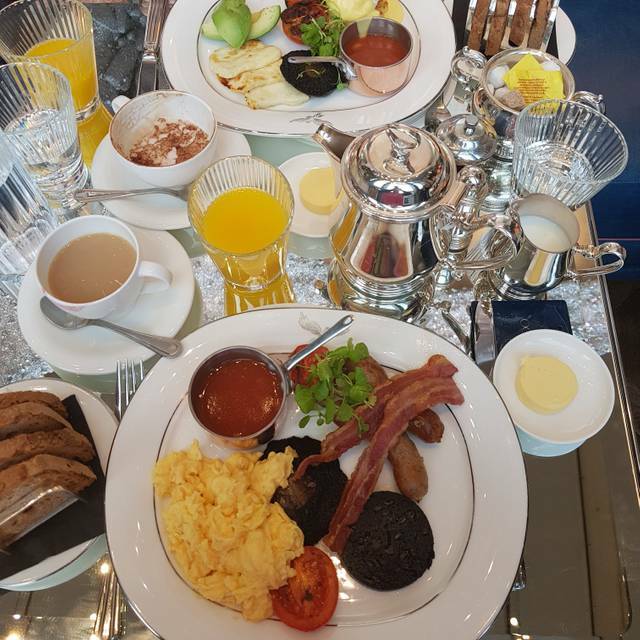 It seats up to 16 guests on one long table or 24 guests across 4 round tables and is available to book for breakfast, lunch and dinner, as well as drinks and canapé receptions for up to 30 guests. Offering an eclectic mix of classic British and internationally inspired dishes, The Pegasus Room is equally suited to private parties and wedding celebrations as it is for corporate events. Situated towards the back of the main restaurant and with direct access to the kitchen for seamless service, The Pegasus Room adapts to the needs of its guests, providing the perfect setting for entertaining friends, family and clients. 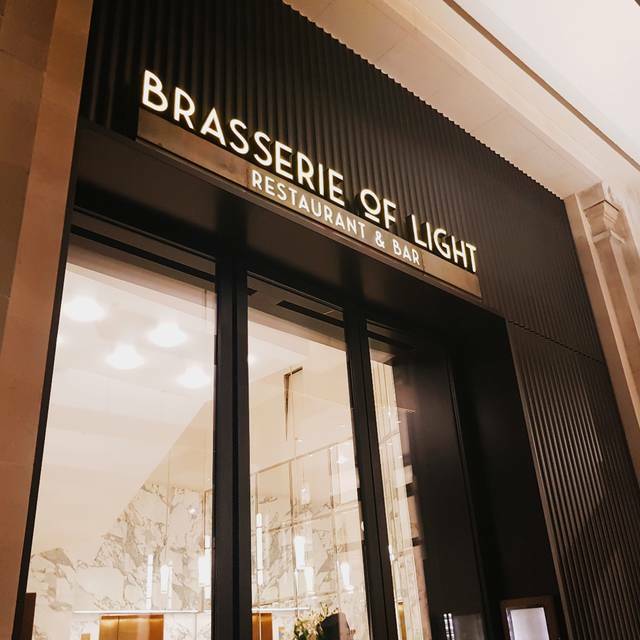 Contemporary, artistic and elegant, Brasserie of Light is a new destination restaurant and bar offering all day dining in a chic, Art Deco space set within Selfridges department store. 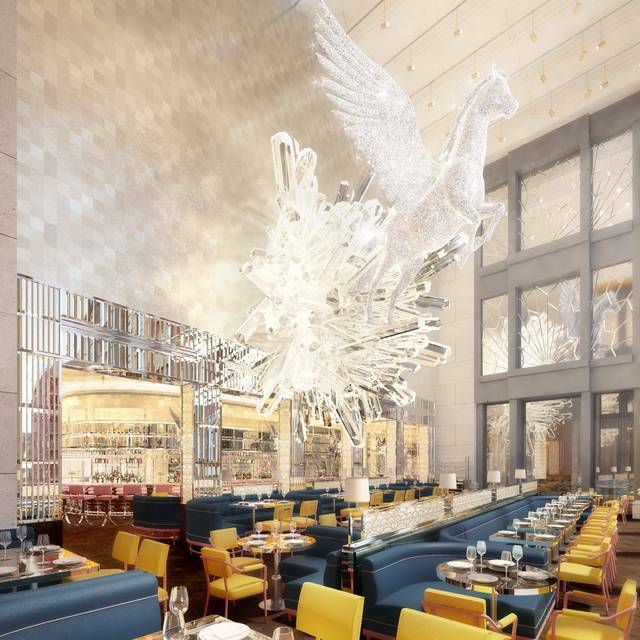 The centrepiece of the restaurant is a 24ft crystal encrusted Pegasus statue created especially by Damien Hirst, his largest scale artwork in London. Martin Brudnizki consulted on the design, which features bold, colourful and light filled interiors, with an impressive central bar and private dining room. Diners enter the double-height space via an exclusive entrance on Duke Street. 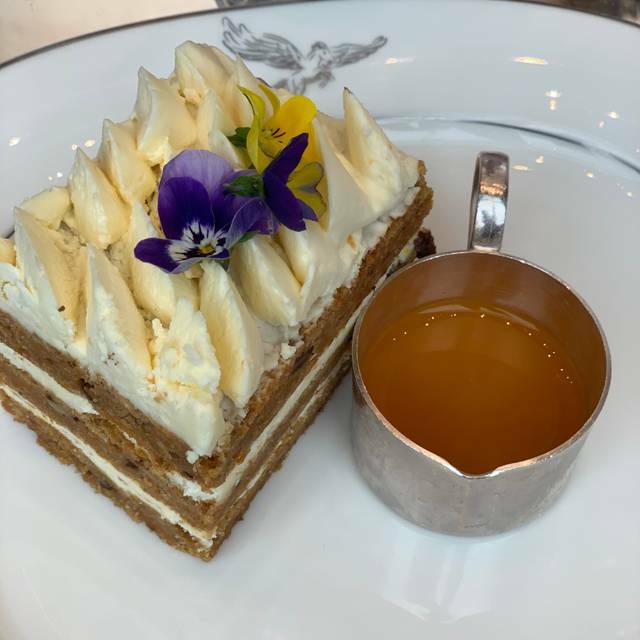 Brasserie of Light serves an eclectic mix of classic British and internationally inspired dishes with an extensive all-day A La Carte menu featuring; breakfast, elevenses, lunch, afternoon tea, dinner and weekend brunch alongside wine and cocktails. From sunrise to late evening, Brasserie of Light offers something for everyone. Beautiful place with excellent service. Food was to a very high standard and it's worth a visit for the ambiance. I lunched here twice.The food and service were excellent (Black cod and Buratta excellent) but,and its a big but,the glass tables are so very close together that you feel you are dining with the person on the next table.In fact the long layout, when first seen, is akin to Wagamamas !And the blue and yellow colours are garish rather than classy ..We were first seated at a side table.For some reason they are raised from the floor. Why ? ?My legs dangled,with no support (and I'm 5ft 7ins with good length legs) It was so uncomfortable we asked to be re seated.The double floor height of the ceiling is spectacular,as is the suspended Pegasus,but they don't make up for the discomfort of the rest of the layout.As mentioned,we gave it a second chance,but Im afraid that at £120 for two,there are many more comfortable restaurants in the area in which to dine /lunch. 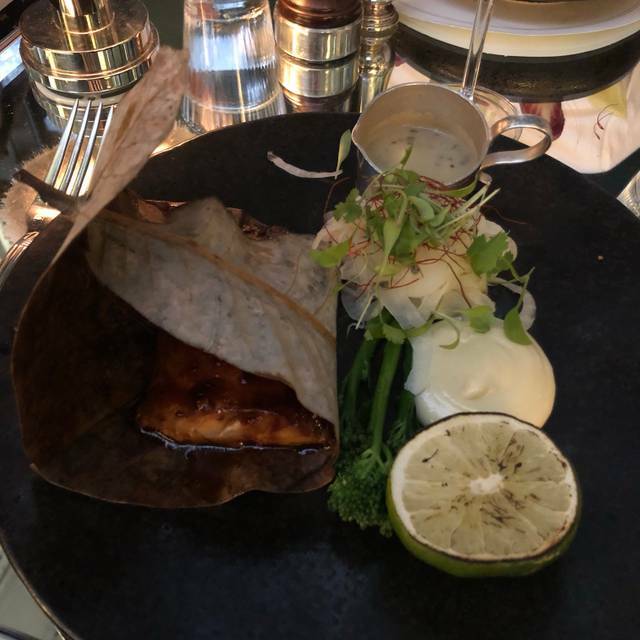 I was curious as the idea of a very high end restaurant inside a shopping centre and once you get there you don’t feel inside Selfridges. The decoration is sub real the food is amazing and drinks. It was just ok. Food was fine - very similar to Ivy Brasserie. Great ambiance and atmosphere. Service was average during our whole stay there, from the meeter and greeter to the waiters - which was disappointing for a place like this. The experience was a bit disappointing. The food was average- we had the avocado and sesame chicken bites and they were very dry even with the sauce provided, which was bland. The service was very very slow. Waiters did not check on us and it took about 45min from when we sat down to when we got the starter. 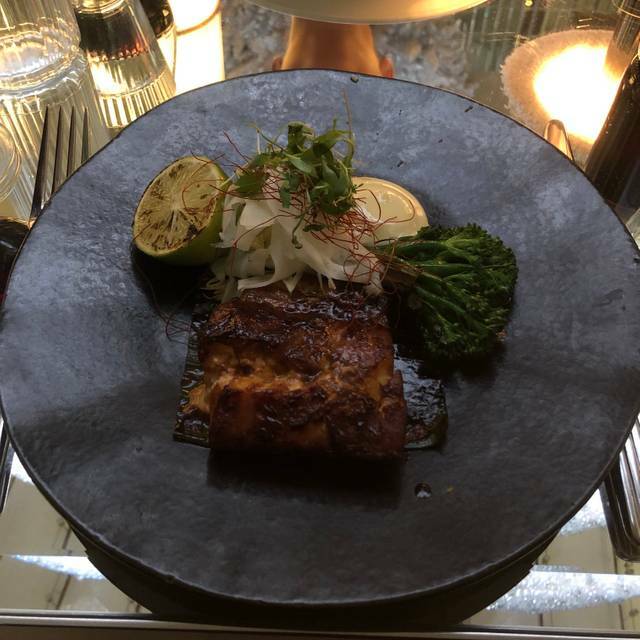 The design of the restaurant is the primary attraction, but the food on offer is delicious and fantastic quality. I have been here for brunch and lunch, and the light, airy, art-deco atmosphere keeps me coming back. Had lunch with a friend and the food was really good and there was a buzzy atmosphere. Will definitely go back! Service was extremely slow and spoilt what would otherwise have been a wonderful meal. Booked for a birthday celebration, and the Restaurant accommodated a group of 10 in the main restaurant. A great lively atmosphere wit a wide menu selection and attentive staff. Surprisingly reasonable for the quality and location. Guest tolerances for Gluten were handled without the usual back and forth to the kitchen to check as the staff knew the menu choices well. 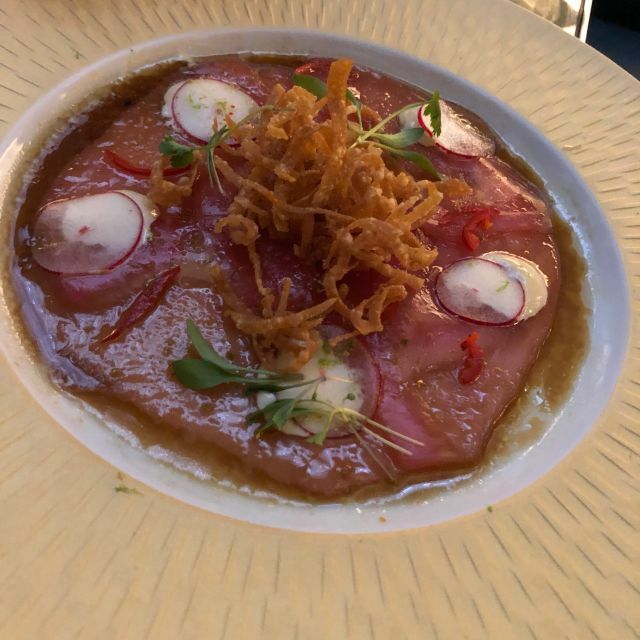 Hard one here, food was lovely, ambience was great, however we turned up 30 mins before our table reservation and we tried to order a drink at the bar. We were told by the rude manager that we can not stand at the bar as to order you have to be sitting down even though there were many people standing. Shocked by the managers response we said to him what happens if you were late say 15 mins after the booking..he said they wouldnt be happy. Upset as it was my birthday and to be treated this way by a so called manager was damn rude. Would I go back again...well no idea, there are more restaurants out there with a good vibe that will accommodate you if you were early. So...maybe STAY AWAY if you get there early!! Great place for a wonderful lunch with friends. Tables could be a little but bigger. Love the menu! It makes me want to eat everything. Good good and perfect ambience for a date. I go there regularly and I usually really like it. This time it was not good. This was due to bad service. Our drinks did not come for at least half an hour. Then the food came wrong. The manager realised we got annoyed before we said anything and try to speed up the process although we had to tell him that my husband’ s was sent the wrong food. He took off the drinks frol the bill. This was a nice gesture. It is a shame that nice restaurants fail on delivering good service. I would go there again to see if this was a one off. Food was great. The service was lovely and attentive. The atmosphere was lively and had a real nice vibe. Excellent food, brilliant ambiance, good music with the DJ but the staff and service where not good at all. Plenty of them around but not on the ball. Wine arrived close to the finish of the starters, drinks took long, took forever to order desert, they just didn’t come over to ask, we had to call them. Bill arrived immediately though. Would go back but manage the service and just ask them to come instead of wait for them to get it. Shame. Outstanding setting, service and food. Top class. The food was good, but not that good to make us want to come back. The service is very lousy - cutlery thrown in the middle of the table, wrong dish served, one dish missing an ingredient. Not good enough for the price they charge. It was a wonderful experience. The only critique is that we were a party of 12 but we're placed in 2 seperate cubicles, so the party got divided. It was very very loud, too loud. Great spot for brunch at the weekend. Service was polite at all times, but it got harder to get someone's attention to order additional items as it got busier. The food was excellent and for the main part good value. But I was surprised at how small the salmon on rye serving was. Iced coffee has to be one of the best I have had! Arriving at this venue, i was confident i had chosen the optimal venue to entertain important clients of mine. Disappointingly, from the very outset where we given no formal greeting, the service was extremely poor and continued throughout the evening which tainted the entire experience and left my guests and I feeling awkward to say the least! We arrived 10 minutes early for a 9:15pm reservation where we received no formal reception, but we were simply told to wait. We made our way to the bar with our coats etc (on our own accord) and then at 9:15pm we had to look for staff to remind them of our booking to which we were advised to wait and this would be sorted shortly. It didn't get sorted, and 10 minutes later we had to once again remind them that we were waiting. Finally at 9:35pm we were directed to our table. No apology. - Removal of plates prior to completion of all guest's eating which was abundantly clear. Basic service! - we were provided the dessert menu with urgency and told we have 5 mins before kitchen closes. No prior warning. Great venue: food is good, and for a reasonable price! I tried different dessert and cocktails, and it was all the time a good surprise! We all loved it, great food! Nice fun ambience, cocktails are delicious and the food good. The service was less than desirable however. Brasserie of Light is quite beautiful in its design. The bar area and bathrooms are stunning. The welcome is warm and the food is almost the standard of any of this groups sister restaurants. Only thing is that I still felt that I was sitting in a department store rather than a high end restaurant. 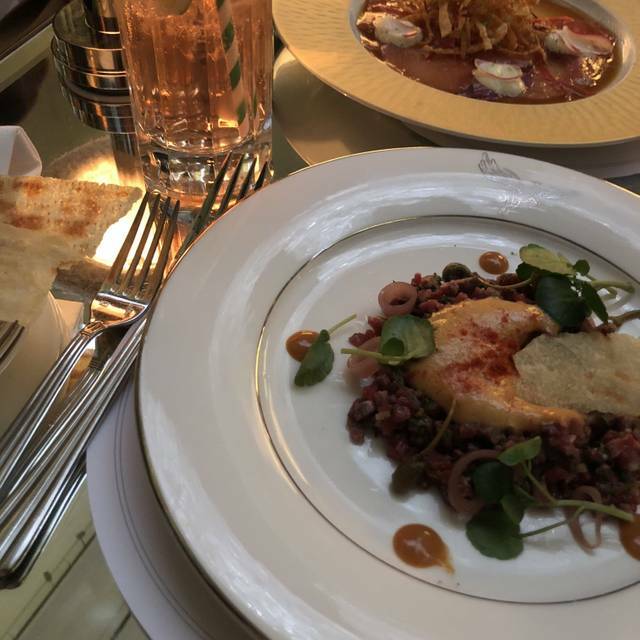 It’s perfect if you’re shopping and would like a special lunch or dinner, however I would not rush back to eat there again independently of shopping at Selfridges. Very “in” at the moment this restaurant certainly makes a point of being stylish. Luckily the food was also very good - the starters and desserts especially. Service was excellent. It was a very enjoyable and entertaining lunch! 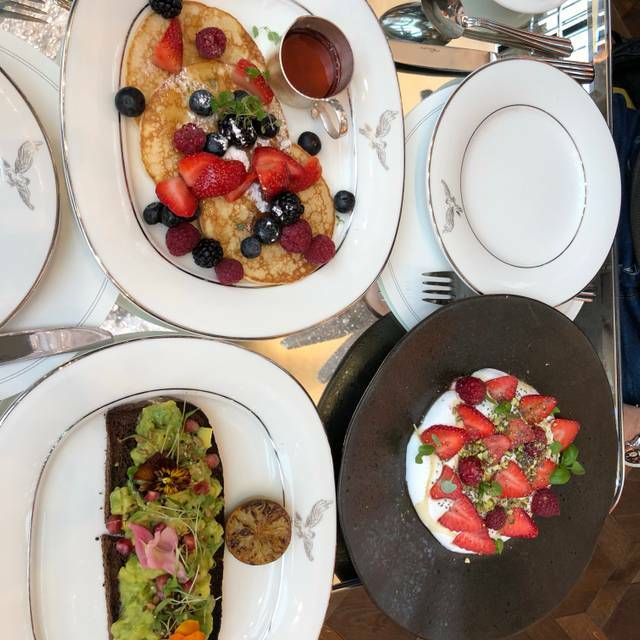 Lovely brunch although my friend’s drink was forgotten.